It is blue Friday up here in Seahawks country and the whole area is excited for the big game tomorrow. The boys are in blue from head to toe. 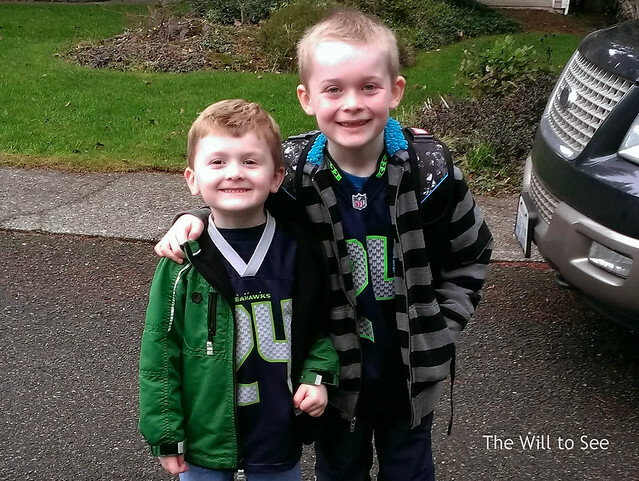 Most kids at the bus stop and in Will’s preschool class are sporting their Seahawk pride, way to go 12th kids! Go Hawks beat the Saints.